The P910 makes handling e-mails and web browsing on a breeze thanks to the wide choice of input methods. For example, the new thumb keyboard on the inside of the flip is particularly useful for writing longer e-mails; the five-way Jog Dial is ideal for navigating the phone's functions or browsing the web; whereas the natural handwriting with stylus on the large color touchscreen and software keyboard are valuable tools for short SMS messages, taking notes, or adding a new contact or meeting. Gaining access to e-mail services and handling messages is hassle-free, enabling users to make the most of the extensive e-mail services the P910 supports. The P910 can just as easily be part of a secure corporate IT network, or used by individuals to receive their private e-mail. Sony Ericsson is collaborating with a wide range of e-mail providers, which makes the P910 the perfect e-mail platform, as in addition to Smartner it also supports IBM, Extended Systems, Visto, RIM BlackBerry, Seven and IntelliSync. New capabilities such as web browsing, e-mailing, PDA and a range of entertainment options puts more demand than ever on the phone's available user memory. 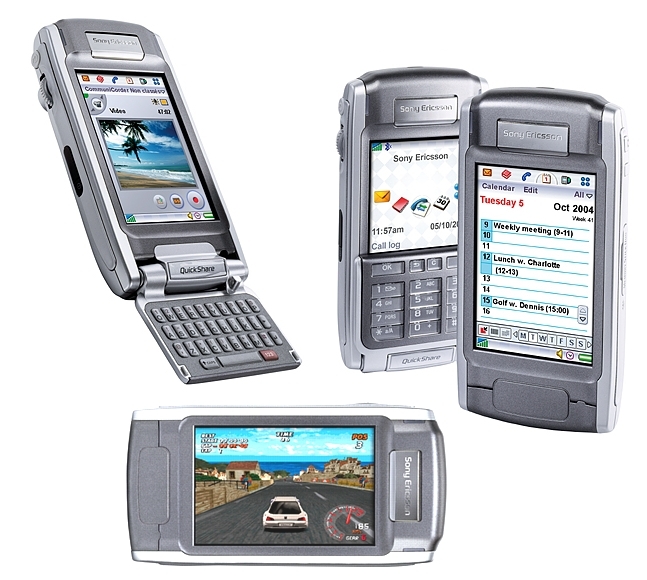 Sony Ericsson has taken this into account and expanded the internal memory from 16MB to 64MB and included a 32MB Memory Stick Duo in the box. The P910 supports up to 1GB Memory Stick Duo Pro, creating almost endless possibilities to store and share images, video, music and business data. The P910 is based on Symbian OS v7.0, the world's most popular operating system for smartphones, and the successful UIQ user interface which is based on Symbian OS. As a result P910 offers the widest possible selection of applications on any smartphone available today.